Encounter’s approach to commu­ni­cating in conflict aims to create a frame­work in which deeply contentious and charged topics can be explored respect­fully by people of diverse ideo­log­ical view­points. This approach helps us to frame ques­tions in ways that speakers are able to hear and answer to the best of their ability, and allows us to reframe comments and state­ments in order to access our genuine questions. Ask chal­lenging ques­tions in ways that can be heard by the person being addressed. We have found that using this frame­work, while it may feel coun­ter­in­tu­itive at first, can actu­ally liberate us. First, we are forced to clarify for ourselves and for others the burning ques­tion at the heart of our discom­fort or curiosity; second, we are able to commu­ni­cate more openly because we are no longer afraid of offending. Encounter’s approach enables us to ask the most chal­lenging ques­tions in ways that are respectful, genuine, and open. Encounter’s approach to commu­ni­cating in conflict is inspired by the 2004 Public Conversations Project, from their work with pro-choice and pro-life leaders. Communication Guidelines by Encounter is licensed under a Creative Commons Attribution-Non Commercial-No Derivs 3.0 Unported License. Encounter’s approach to commu­ni­cating in conflict enables us to speak with כבוד / kavod (honor) and אמת / emet (truth­ful­ness) in all our conver­sa­tions during Encounter programs. 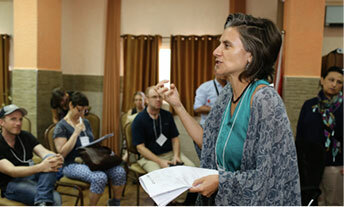 It serves as a guiding frame­work for conver­sa­tions with other partic­i­pants as well as with Palestinians. Speak for your­self, not as a repre­sen­ta­tive of a group. Do not ask others to repre­sent, defend or explain an entire group. Make “I” state­ments rather than “we” statements. Avoid making broad gener­al­iza­tions and grand pronounce­ments. Instead, connect what you know and believe to your expe­ri­ences and sources of information. Listen with resilience, “hanging in” when you hear some­thing that is hard to hear. Take personal time if you find that you are no longer able to listen with a clear mind and an open heart. Share airtime and refrain from inter­rupting others, except to indi­cate that you cannot hear a speaker. Participate within the time frames suggested by the facilitators. “Pass” or “pass for now” if you are not ready or willing to respond to a ques­tion, no expla­na­tion required. Keep all small-group conver­sa­tions and listening pairs confi­den­tial. Outside those, if asked to keep some­thing confi­den­tial, honor the request. In conver­sa­tions outside of the group, do not attribute state­ments to indi­vid­uals by name or iden­ti­fying infor­ma­tion without permission. During ques­tion and answer time periods, avoid making lengthy state­ments. Do not argue with speakers or other partic­i­pants. Instead, ask ques­tions that express your genuine curiosity. Constructive Conversations about the Israeli-Palestinian Conflict: A Guide for Convening and Facilitating Dialogue in Jewish Communities in the U.S. The Jewish Dialogue Group has collab­o­rated with Public Conversations Project to create an excel­lent facil­i­ta­tion guide­book. The full guide­book can be down­loaded free of charge and is useful for anyone planning facilitated group conversations in their community. Resetting the Table is dedicated to building meaningful dialogue and deliberation across political and communal divides. Drawing from facilitation and mediation expertise, Resetting the Table’s supports participants to move through charged conversations with trained facilitators and carefully structured process, designed to support diverse stakeholders to connect, learn, grapple, and make decisions together with honesty, mutual recognition and respect. 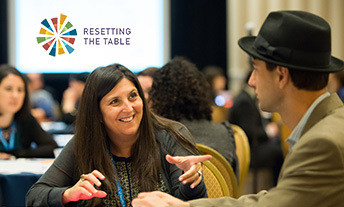 Resetting the Table was founded and is directed by Encounter’s co-founder Rabbi Melissa Weintraub. 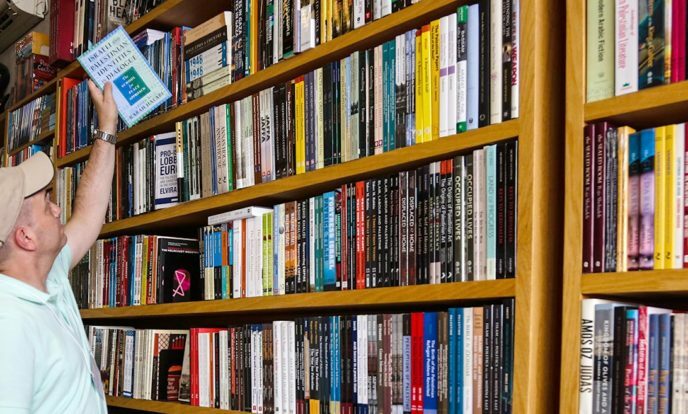 Access Encounter’s library of articles, videos, podcasts and other media that help us deepen our understanding of the conflict from a range of perspectives; these include pieces by Encounter’s staff and past participants.